My name is Barry McCarthy and I am a Cork based graphic designer. I offer a unique, friendly and professional solution to your design needs. Do you need a 3D character design, illustration, graphics or web page solution? I have a broad skill-set including web, print, 3D modelling and animation. Your business will benefit from almost 20 years in the design industry as I can provide a high-end custom website, graphic, video or animation tailored to your needs. I never use stock graphics for logos or branding, so that you know your presentation to the world will be unique to you alone and will have been tailor-made to suit your business. Whether you need an update on your logo or a complete makeover, a quote costs nothing. Get in touch today at [email protected] or 086 8342860. 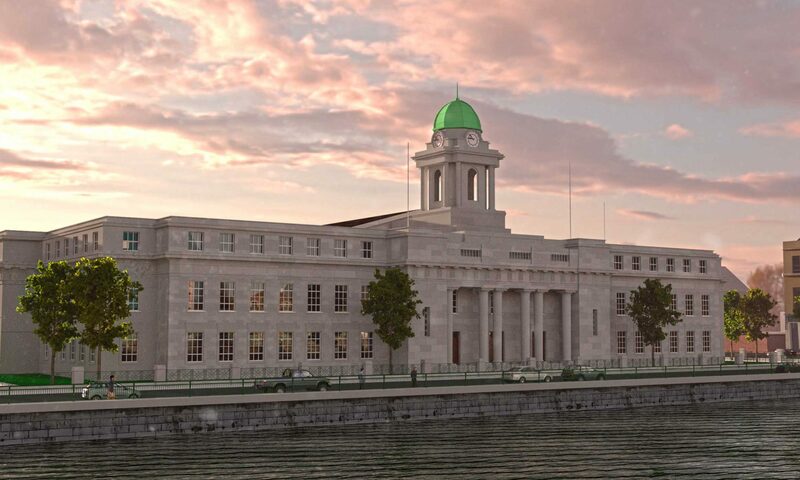 Background image shows a 3D model of Cork’s City Hall.